Are Mobile Bar Codes Changing the Way Consumers Shop? Mobile bar codes are increasingly gaining momentum and companies such as Toys R Us and Glamour are placing them on billboards and walls – providing consumers another way to shop their favorite products. Although the technology is still emerging, it certainly has the opportunity to change the way consumers shop. Brands and marketers are beginning to see the potential of mobile bar codes and are using them in their marketing strategies. “The immediacy of being able to purchase something you see advertised in a magazine or other out-of-home signage allows consumers to conveniently purchase the product on-the-spot, without having to search or step foot into a store,” said Nicole Skogg, CEO of SpyderLynk, New York . “We believe that the use of mobile bar codes overall, especially mcommerce-enabled bar codes, will continue to grow as consumers become more familiar with the technology,” she said. “Adoption rates will also continue to grow as marketers think more strategically about the use of bar codes and become more focused on delivering value. Last year, Toys R Us rolled out a virtual store that let consumers scan QR codes featured on billboards and shop the company’s 2011 Hot Toy List. On-the-go commuters and travelers in the New York metro area were encouraged to take part in the initiative. The billboards were located in John F. Kennedy International Airport, LaGuardia Airport and nearly 40 NJ Transit Stations feature the showcased items (see story). Most recently, Glamour unveiled its Apothecary Wall that features products from Unilever and Juicy Couture. The Apothecary Wall has SpyderLynk Snaptags next to each product. Users are encouraged to download Glamour’s Friends & Fans iPhone app to scan the mobile bar code and buy the featured product right then and there. “Placement is critical to success in adoption rates,” Ms. Skogg said. “One of our key messages to our clients is that the placement of a mobile bar code will drive usage. “Engaged media such as magazines, email, online and street teams at events will drive higher response rates than passive media such as event displays and out-of-home signage like a billboard – which is typically passed by rather than viewed from a closer proximity while standing still, making it difficult for consumers to engage,” she said. “There are much more creative ways to deploy bar codes with the Apothecary Wall being an excellent example. There is an increase in the sophistication of mobile bar codes and their implementation compared to last year. Brands and marketers are incorporating mobile bar codes across their entire marketing mix. This comprehensive approach to mobile is giving marketers the ability to model, segment and better target consumers. Mobile commerce-enabled mobile bar codes give retailers the opportunity to extend the reach of their bricks-and-mortar retail outlets. “We are beginning to see mobile bar codes have an impact on the retail experience however, there is still much consumer education and awareness needed for mobile bar codes to really change the way consumers shop,” said Laura Marriott, CEO of NeoMedia Technologies, Boulder, CO.
“Many major global brands and retailers, such as Calvin Klein, McDonalds, Macy’s and Target, have helped to increase this awareness by taking advantage of the ability mobile bar codes provide to bring engagement and interactivity to a consumer’s experience with a brand,” she said. According to Ms. Marriott, mobile bar codes provide an easy, instant means to connect with the brand. “I believe we will see significant uptake of these services,” Ms. Marriott said. “Mobile bar codes still have a bit of the newness factor and are fun to engage with, which definitely also helps to drive interactions. “And making the shopping experience even more accessible to consumers via mobile bar codes, is definitely a winning combination,” she said. “We do expect to see these types of initiatives becoming more commonplace in the next year, which will help consumers become more comfortable with using their mobile to scan and buy on the go. 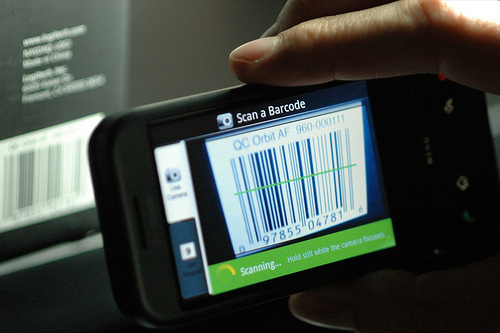 Mobile bar codes make shoppers more intelligent wherever they may be. Consumers access more relevant content based on what their specific interests. Additionally, with mobile bar codes shoppers can now access product reviews and price comparisons via their mobile device. This allows them to make more informed decisions on the spot when making a purchase. “We do see some customers getting more comfortable buying products on their mobile devices, but we are not at the mass adoption level yet,” said Mike Wehrs, CEO of Scanbuy, New York. “Thousands of people made purchases through our app over the holidays as they were scanning UPC codes from products, but there are many ways for retailers to harness that activity. “Virtual shops are a growing phenomenon which can really enable someone to buy from anywhere,” he said. Last February, many marketers learned the hard way that including mobile and social into their brand’s Super Bowl marketing mix would be a game changer. This year, marketers got it right—well, at least some. Each year on Super Bowl Sunday, marketers have access to the eyes and ears of about 100 million people who are watching the game and anxiously waiting for the next jaw-dropping commercial. But for $3.5 million, they better make that 30-second time slot count. InMobi released its Super Bowl XLVI Mobile Consumption Survey, which reinforced why marketers should have included some mobile component into their marketing mix. Nearly 40% of respondents used mobile devices in response to TV ads. 45% estimated that they spent 30 minutes or more on their mobile devices during the game. Twice as many respondents used their mobile devices during the first half of the game than the second half. 32% did not include ANY online references. So which brands got the bang for their buck? Several brands created successful interactive apps to accompany their commercials, including Best Buy, Toyota, Pepsi and Bud Light. The brands partnered with Shazam, an audio tagging application, and were able to link the Super Bowl ads with songs, giveaways and other content. In addition, Chevrolet’s Chevy Game Time app gave users the opportunity to win prizes by answering trivia questions and polls. Aside from mobile, many brands included social calls-to-action in their Super Bowl ads. In 2011, Nielsen found that Super Bowl ads that included social media tags that directed viewers to a link on Facebook, Twitter or YouTube were more 33 percent more memorable for viewers. This year, hashtags were a common theme in many of the commercials. For example Audi’s anti-vampire ad included #solongvampires at the end, Bud Light Platinum included #makeitplatinum, and Hulu included #mushymush. The hashtags were used to get people tweeting about the brands, and it worked. Links to Facebook were also included in the ads, of which many replaced traditional web links. Pepsi Max and General Electric among others included the URL of their Facebook Page at the end of their ad to drive consumers to the social networking site. Also, GoDaddy experimented with a QR code at the end of one of their advertisements, which generated the best mobile website traffic ever for the company. Each of these calls-to-actions was intended to drive consumers to a place where they can interact with the brand and create a dialogue. Some marketers really hit the mark this year and developed well-executed mobile marketing campaigns. Others, however, fell short. Marketers and brands must understand the power of mobile and social in this day and age. We are a more technologically engaged, connected group of fans. People aren’t just rooting for their favorite teams while sitting on the couch eating chicken wings—they’re tweeting, conversing on other social networking sites and interacting with apps. Super Bowl Sunday is the biggest television advertising event of the year. So marketers, don’t just throw a Hail Mary pass at developing a successful Super Bowl ad. Check the playbook, and create worthwhile ads by incorporating mobile and social—elements that are known to enhance the user experience. The mobile revolution is underway, but many marketers are underutilizing the medium and making mistakes with the strategy and execution of campaigns. Mobile marketing budgets will increase considerably in 2012, but so will consumer expectations of the types of experiences they have interacting with their favorite businesses. Mobile channels such as advertising (search and display), apps and mobile Web sites will rake in the most in spend for brands and retailers. The exponential raise in smartphone uptake is indicative of the importance mobile will soon play in the marketing mix. “It starts with consumer behavior. Every indicator says mobile activity considerably increased in 2011,” said Jeff Hasen, chief marketing officer of Hipcricket, Kirkland, WA. “The latest was the IBM report that said sales from mobile devices doubled in December 2011 versus December 2010. “Even the most stubborn of marketers has had to take note,” he said. “The smartest ones know that consumers expect brands to have a significant mobile presence – and they are punishing companies that don’t. 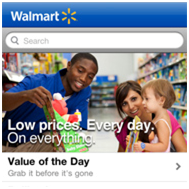 Retailers and brands will focus heavily on incorporating check-ins and deals into their mobile apps. The next generation of retail apps will be extremely sophisticated, focusing on loyalty and driving sales among loyalists. Will the majority of big box retailers having built their mobile database and built a relationship with the consumers that have opted-in for communications, companies will now focus on way of making the marketing messages more personalized to more effectively drive sales. For example, instead of getting a message for a mobile coupon with 10 percent off of the next purchase, imagine getting a message that says Macy’s just got a pair of peep-toe shoes that match perfectly with the cocktail dress you bought last week. In order for personalization like this to be possible, data mining and segmentation of lists is an absolute must. Brands and retailers will be spending a lot of time and money on understanding their database and breaking it up into segmented lists. “Similar to social media, mobile marketing spend as a whole will impressively increase in 2012 not so much in terms of greater budget allocations by a few enterprises but in terms of volume due to more SMBs and consumer affinity groups getting in the mobile marketing game,” said Angelo Biasi, adjunct professor for mobile marketing at New York University’s School of Continuing and Professional Studies and general manager of SMART Marketing Solutions LLC, New York. “Easy to use do-it-yourself SMS campaign, mobile Web sites and especially mobile app creation tools that remove traditional barriers to entry, will become more attractive and consolidated service offerings by organizations that cater to these segments,” he said. The fact that the big guys get mobile, has been driving mobile marketing spend. But, in 2012, the smaller guys will invest more heavily in mobile as well. 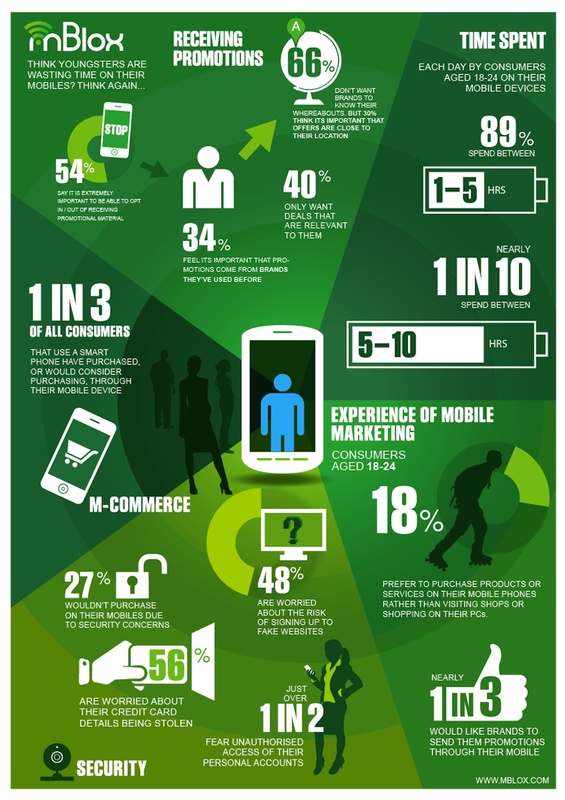 Mobile has become more mainstream for a few reasons. Faster network speeds, function-rich smartphones and tablets, a burgeoning portfolio of applications and more engaging ad formats like screen takeovers and expandable ads enable mobile to compete with more established media. Mobile will account for 15.2 percent of global online ad spend in 2016, according to Berg Insight. According to the Berg, the total value of the global mobile marketing and advertising market will grow from $3.4 billion in 2010 at a compound annual growth rate of 37 percent to $22.4 billion in 2016. HTML5 is already changing consumers’ perception of the mobile Web. HTML5 will play a prominent role in mobile development in 2012 and will be used to try to overcome fragmentation issues that the industry has consistently battled. Adobe’s decision to give up on Flash was abrupt but also signals how HTML5 will have to play a role in the future because it was one of the most successful Web add-ins. HTML5 is helping companies create rich content and bypass the App Store and we will see this trend increase dramatically throughout 2012. “Mobile is growing rapidly and is quickly becoming the norm for many consumers,” said Graham Jones, general manager of PriceGrabber. “PriceGrabber predicts an increase in mobile budgets, both in the development of new mobile features and mobile options, as well as a raise in marketing funds assigned to the mobile category. 2011 was a big year for the mobile world. The industry took major strides in terms of being recognized as a major player in the marketing sphere, and businesses who originally doubted its potential are reconsidering their assessment. Loyalty based mobile programs will serve as the go-to form of mobile marketing, as more and more businesses are losing faith in daily deal services like Groupon and LivingSocial and are seeking out programs that will encourage repeat customers and increase client retention. QR code implementation will rise and will be executed with more engaging call-to-actions and measureable analytics. 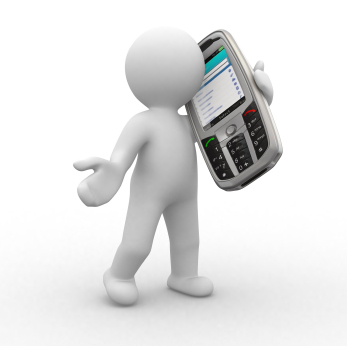 Near Field Communication (NFC) will revolutionize the mobile commerce sector. 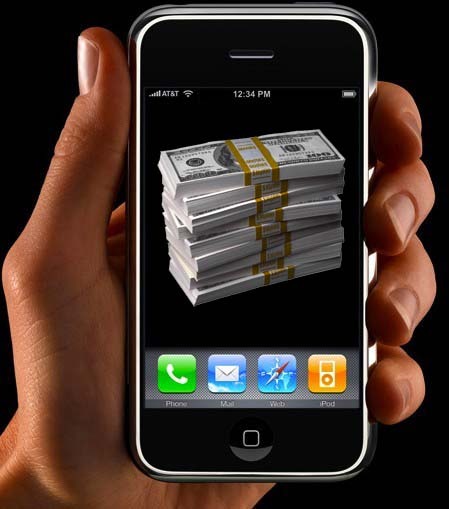 U.S. mobile ad spending will grow (eMarketer is projecting a 47 percent increase in 2012). Certain businesses and brands may have gotten away with holding off on mobile marketing last year, but this year they’ll be left in the dust if they don’t get on board. Those who understand the potential of mobile will see no need to wait any longer. 2011 was big, but 2012 will be bigger. Many large retail brands are starting to manage their mobile marketing development in-house, instead of using service providers. How will this change affect mobile marketing in the future? One guess would be that the competition would increase greatly with less fish – a.k.a brands – in the sea looking for services such as application and mobile Web site development, database/CRM, location-based services, QR code efforts, SMS/MMS and mobile video. “Generally speaking, it is smart for companies that can afford it to take as much mobile technology as possible in-house via acquisitions,” said Wilson Kerr, vice president of business development and sales at unbound Commerce, Boston. “By acting fast, they’re out ahead of the curve and block their competitors from using these tools,” he said. “There is a big difference between technology or payment platform giants like eBay, Groupon, and Visa and a consumer-direct retailer like Walmart,” Mr. Kerr said. “Walmart stands out, because they have embraced a holistic, long-term strategic vision regarding the impact of mobile and social commerce. “And they are investing heavily,” he said. “They acquired One Riot for ad targeting, Kosmix for social media search and, most-recently, Small Society, a mobile agency. The consolidation that is going on in the mobile industry points to the importance of mobile to retailers and the overall growth in retail apps. 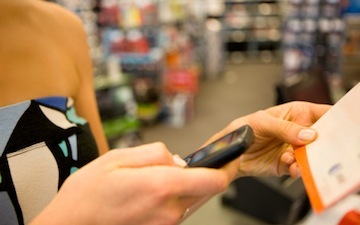 It is also evidence of the fact that retailers are looking for more control over their customers’ mobile experiences. They don’t want to have to share their data with third parties. Deloitte’s purchase of Ubermind last week points to an increased interest by old-school Internet companies to jump aboard the mobile train. Deloitte wanted to amplify the professional services it offers to brands. Another example of a traditional Internet company investing in mobile includes WPP’s launch of Possible Mobile, a mobile commerce agency. There have been 41 mobile-related acquisitions worth approximately $780 million in 2011 and 39 investments worth $314 million. Mobile marketing deal activity in 2011 increased 150 percent from 2010, according to Petsky Prunier’s summary of 2011 M&A and investment activity. Service providers are also consolidation in the mobile space. Some of the noteworthy mobile acquisitions in 2011 included Motricity’s $93 million deal for mobile marketing provider Adenyo, Augme Technologies’ $45 million purchase of mobile marketing firm Hipcricket and Lenco Mobile’s $42 million acquisition of mobile marketing company iLoop Mobile. “The recent acquisitions we’re seeing in the mobile space bear striking similarities to the Agency of Record (AOR) relationships that formed in the traditional advertising sector 50-plus years ago,” said Jessica Legg, product marketing manager at Digimarc, Beaverton, OR. “In the Mad Men era of agencies, we saw a model established where brands created retainer agreements with big ad firms—based on the two-for approach of tapping a resource with a broad range of capabilities at an all you can eat price. Brands that still have traditional AOR’s are still funding big budget programs with other service providers—often because their main agency does not have the bandwidth, is not agile enough, or does not have expertise in that area, per Ms. Legg. “No developer can be all things. Unless a brand has the capital and a justifiable amount of ongoing work in each area to acquire mobile firms across the spectrum of capabilities—there will always be a market where mobile companies with unique and compelling service offerings will thrive,” she said. “These acquisitions are a welcome validation that competent mobile executions are critical to a healthy marketing program, and that expertise is in short supply,” Mr. Hayden said. “With these acquisitions, it is now in even shorter supply. “Even for those vendors looking to do business with the companies mentioned, I would go so far to say that the volume of external expenditure on mobile services at these companies is about to increase dramatically,” he said. “The bottom-line in that you can’t outsource what you can’t manage, and you can’t manage what you don’t understand,” Mr. Hayden said. 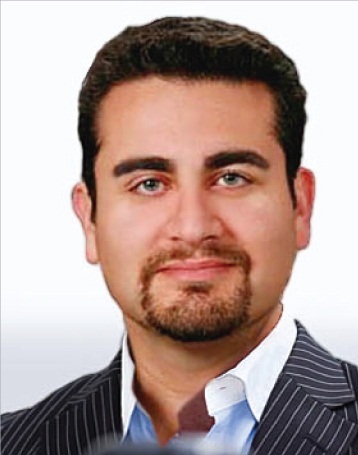 “That has been the fundamental problem in mobile marketing budgets for years. “These acquisitions mark a very encouraging turning-point in this regard,” he said. “Companies can no longer punt on the subject of mobile marketing.